Collinssons have a team of brick layers to help with awide range of brick laying tasks, from garden walls to extensions and complete new builds. Our experienced team will help you to install drive entrances, road infrastructures or install pedestrian paths, we can assist with the planning applications to achieve your project. 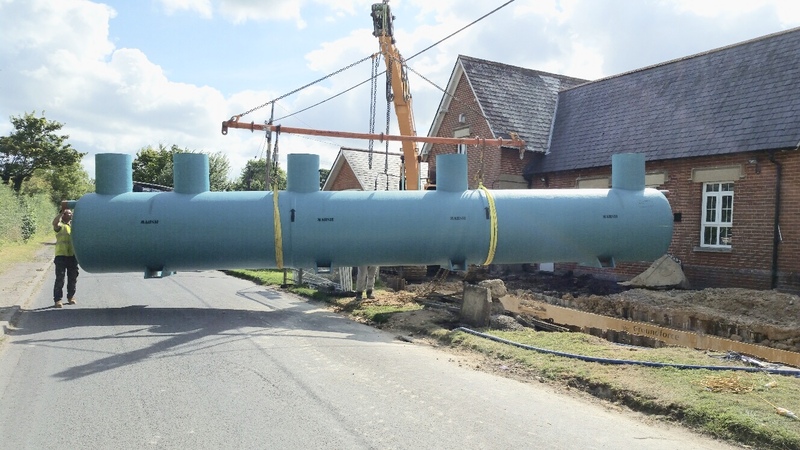 We can assist with the design and installation of any drainage system, foul drainage, storm drainage, oil interceptors, septic tanks and underground rain water storage tank, we also repair damaged and blocked drainage and can complete a drain survey. 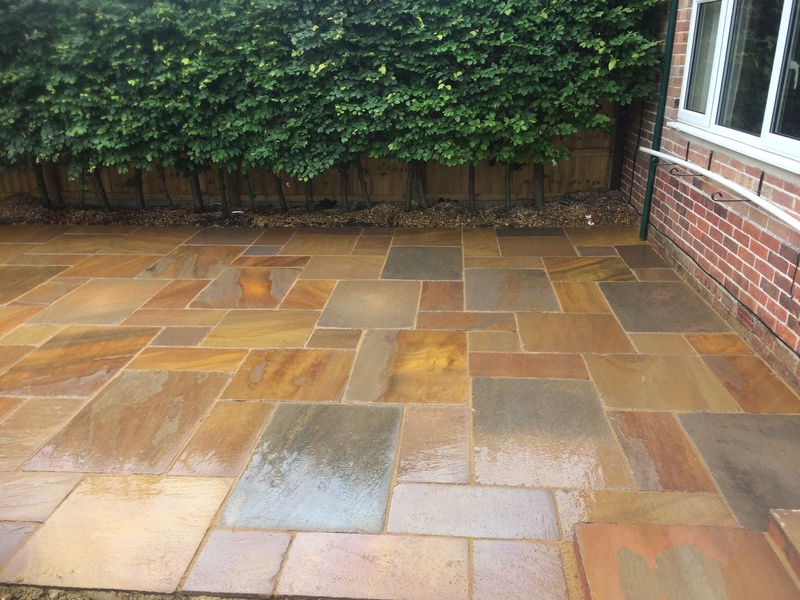 We can design and install driveways and patios, we can install paving slabs, block paving, Concrete slabs with a range of finishes, tarmac and a wide range of stone slabs. 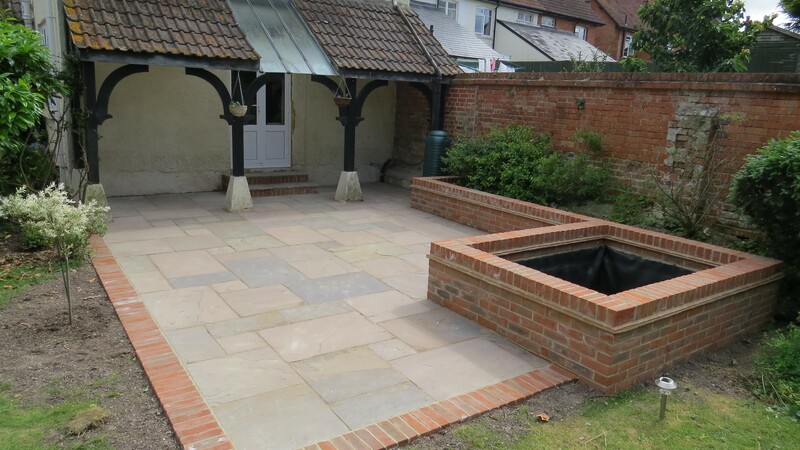 Our team have the skills for soft landscaping, from turf laying and hedge cutting and tree surgery. Collinssons operate across the south, based in Firsdown near to Salisbury we can take contracts in Wiltshire, Hampshire and Dorset. Collinssons has 18 years experience in the building trade, we use this experience to apply the latest building and civil engineering techniques, to enhance foremost our safety with in our work place, our team is qualified, we invest in training to help complete project in a safe and correct way. Our team works to minimize the environmental impact of our work and to complete any contracts in the most cost-effective and efficient manner. Collinssons have taken many projects of all sizes, our expertise with in these projects have allowed us to strive to earn a reputation of excellence when it comes to our workmanship. 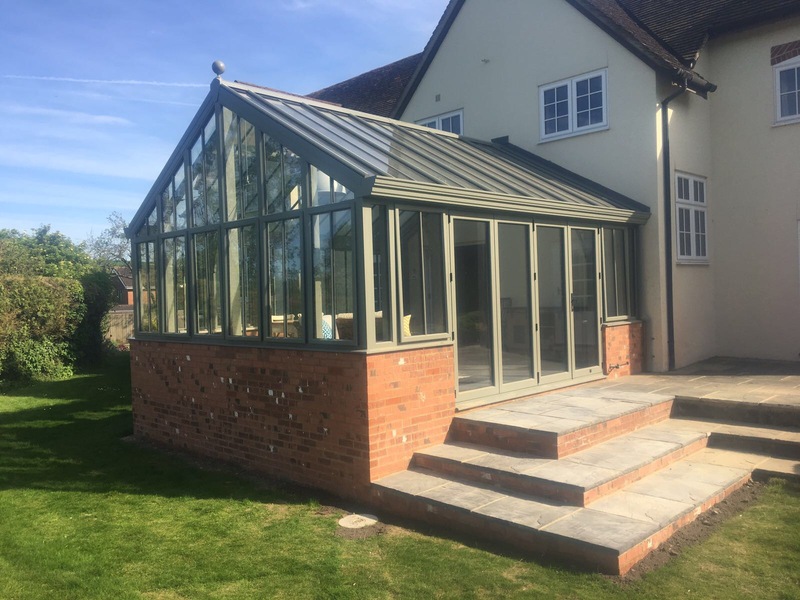 We deal with domestic as well as commercial clients our frendly team can help with any sized projects you may have, we can help with the design and build, We can offer free estimates and offer free advice on how to achieve your results.
" Collinssons' approach to, and completion of this project was first-class. They were reliable, courteous, professional and clean and tidy onsite, including traffic management and safety, through some very bad weather. Even when faced with the difficulty of bundles of cables just below the surface, they smoothly changed their plans and worked easily with the media company involved to resolve the matter with maximum benefit to me. 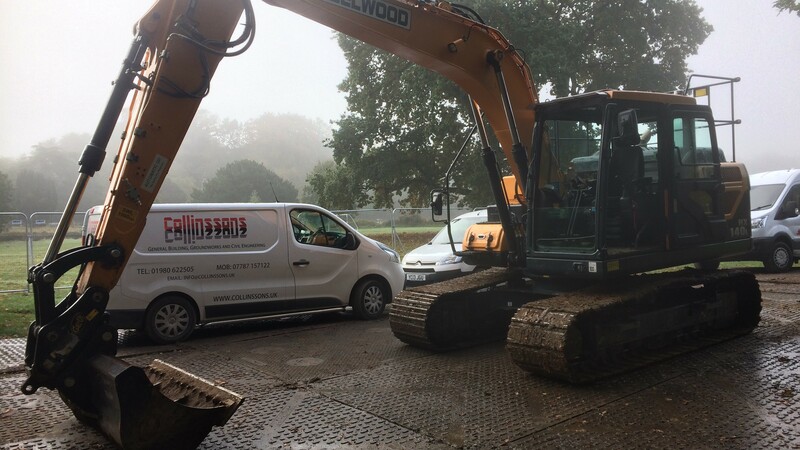 Ben Collins was onsite for all of the excavation, cable moving and reinstatement work and personally inspected the finished site after the tarmac had been laid. " Our team have designed and installed a large number of hard landscape projects using a natural sand stone. 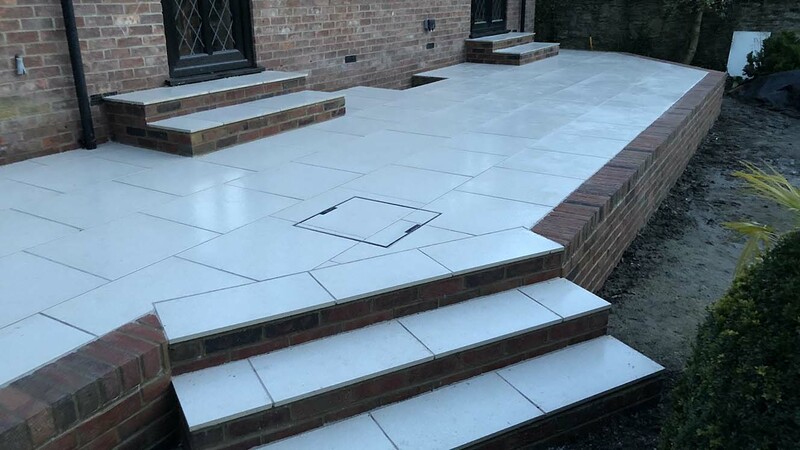 Porcelain paving installed with new brick retaining walls and steps. Collinssons installed a sand stone patio, this made a good looking usable hard surface to entertain. Collinssons installed all building work for a Garden room and reinstated all landscaping to out side.